Debt Consolidation or Chapter 13 | Machi & Associates, P.C. When someone is considering debt consolidation, there may be more options for them than they realize. One of those options is to talk to an attorney about Chapter 13 bankruptcy to see if it is an appropriate option for their situation. Not everyone qualifies for it, and even some that do qualify may want to seek a different route to reduce their debt. However, there is no reason why the question should not be asked. Here are some comparisons to consider when choosing between debt consolidation and Chapter 13 bankruptcy protection. For people who are burdened with debt, consolidation can help reduce the problems that are being experienced. This can free up money to pay bills and have savings, and can also mean that debt is paid off much faster than it would have otherwise been. With that in mind, though, consolidation can take time, and there will still be debt that has to be paid back. This is because consolidation primarily works with interest rates and getting a debtor’s payments and bills combined into one payment. That payment needs to be lower than the total of the payments already being made, and one of the ways that is done is through a reduction in interest rates. Another way this is done is through an extension of the time it takes to repay the debt. With lower rates and longer terms, the amount paid every month can come down and provide the debtor with some breathing room. Consolidating debt can be a good thing for a debtor because they do not have to pay as much every month. That allows them to get ahead with household bills and savings. But there are some concerns, as well. Depending on how the debt is consolidated and what means are used, the debtor’s credit score can be harmed. Getting a standard loan to consolidate is not an issue, but working with a company that will consolidate debt for a fee can mean paying less than what was owed, and that can be very harmful to a credit score. With Chapter 13 bankruptcy, a debtor’s credit score is also affected. Improving that score can take months or years, depending on the level of debt and other factors. But this type of bankruptcy gives the debtor a period of time to pay off their debt through restructuring. That time period is usually three to five years. When the debts are all paid, the debtor is clear of those bills. In comparison, debt consolidation can extend the term which means three to five years may not be enough to pay off everything that is owed. So in some cases, Chapter 13 is a better choice. 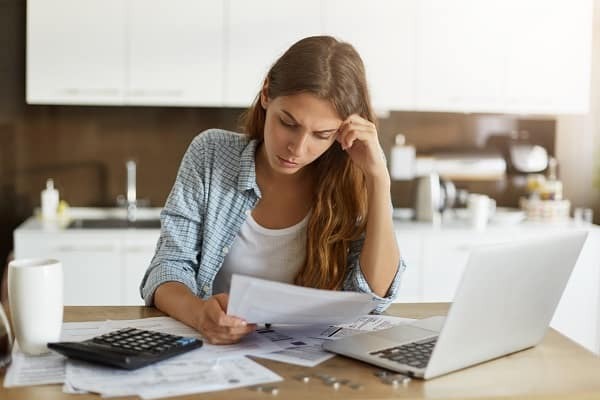 Because the timing of the debt payoff may be affected, it is essential to talk to a qualified attorney about Chapter 13 bankruptcy before choosing to go with debt consolidation. Debt consolidation can be more expensive than bankruptcy and can lead to Federal Income Tax issues. When using a company for debt consolidation, be careful. Many companies will have their fees paid first before any creditors are paid, and those fees may be higher than hiring a licensed attorney to file a bankruptcy. Also, if any of the debt is to be forgiven by the creditor after completion of payment under a debt consolidation, you may receive a 1099 tax form that you may have to include on your tax return as income and pay taxes on this amount. This may lead to an unexpected tax bill owed to the IRS. In a Chapter 13 bankruptcy, if any debt is not paid and is discharged, the creditor is not allowed to issue a 1099 for the discharged debt. Speak to an experienced bankruptcy attorney to consider your options.